I am feuding with a red-winged blackbird. Yeah, I know it seems unlikely. You think I am exaggerating. Judge for yourself. I like to run in the mornings. My usual route takes me over a bridge that spans Salt Creek. Four times now, when crossing this bridge, a red-winged blackbird—let’s call him Bub, short, of course, for Beelzebub—has attacked me. I know, I know. I am too close to one of his nests. Fine. I’d buy that too, only the attacks seem personal. Yesterday, as I crossed the bridge, there was an older couple peacefully gazing down at the water as well as a father pushing a stroller. A tranquil scene. Enter me, bridge left, thinking for once I might pass without notice. But just as I stepped off the bridge, a terrifying screech came from right behind my head, and I felt Bub’s talons in my hair. If you’ve never been attacked by a bird, let me tell you, it takes your breath away. The moment comes on with such suddenness, accompanied by a terrible scccraaaw! The physical sensation of claws in your hair isn’t so bad; it’s the speed and sound that shock. There have been many witnesses to Bub’s attacks on me: pedestrians, bikers, dog walkers, city workers. They point, they gasp, they hurry in the opposite direction. They seem to realize I’m a marked woman. I may start wearing my bike helmet when I run. My daughter refuses to walk over the bridge next to me, not wishing for Bub to suss out her family lines. She is, thus far, unscathed. This has tempered my enthusiasm for the species. I used to love the red-winged blackbirds. I like their musical trill, their bright red flash, and the fact that I can easily remember their name simply by describing how they look. Their arrival is one of my favorite signs of spring. But I’ve come to regard them with a heavy dose of suspicion and the occasional nervous twitch. For some time now, I have had a peculiar personal belief about birds. I shouldn’t share it with you, for you will likely judge me harshly. It’s goofy, it’s fru-fru, it’s ... well, it’s out there. My family tree is laden with scientists: doctors, a physicist, people who would scoff at my foolishness. I generally keep my unorthodox thoughts to myself. But here it is: I believe that when people die, they come back as birds. The actors and entertainers, they come back as the flashy birds: parrots, flamingoes, peacocks. The singers, that’s easy, they are songbirds. 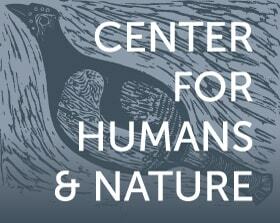 Our society’s human predators (you know the type) are the hawks, the eagles, all the raptors. The more withdrawn of us may become herons and egrets. And owls, well... you get the idea. I warned you. It’s out there. But, in my defense, none of my scientist ancestors could prove I am wrong. It can’t be proven either way, so I prefer to be open-minded about it. Why not? Where’s the harm? Consider for a fleeting moment: What if it’s true? I am not alone in my belief. I have a friend who had a hummingbird hover right in front of her the day after her father’s death. She took a message of hope from the experience. Another friend experienced a cardinal visitation on her kitchen windowsill at the precise time of her mother’s passing. My mother discovered an owl trapped in her chimney on the day of her father’s (the physicist) funeral. These avian visitors are far from proof of human transmigration, but hearing about them feeds my belief. Granted, a little encouragement goes a long way with me. So there, it’s out in the open. You—scientists, writers, thinkers—will likely disagree. You will shake your head at my foolishness. So be it. I stand by my quirkiness. Feel free to groan. Now that you understand my belief system, back to Bub. Uh oh. This raises his assaults on me to another level. Who is he and what did I do to deserve his malicious intent? I’m working on a novel. Historical fiction, based on a real person. Is Bub her? Does she disapprove of my portrayal of her? More likely, it is her powerful, judgmental father, though I would have thought he’d be firmly in the raptor category. Is a rewrite in order? I try not to let these thoughts run rampant. 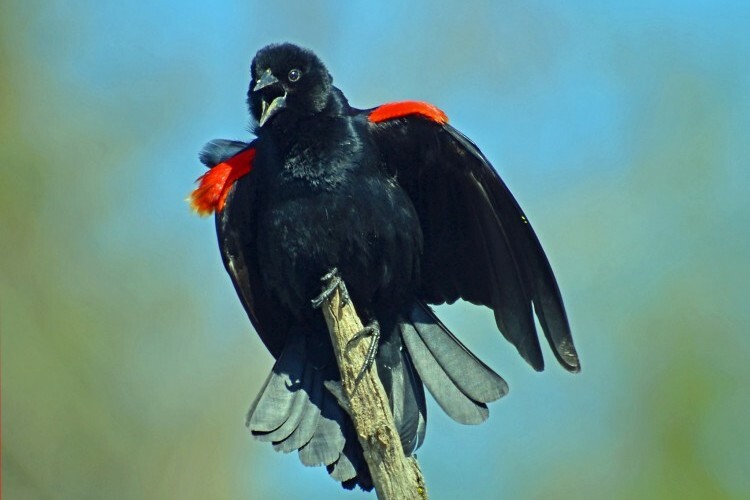 My local park district sent out a mass email warning about red-winged blackbird attacks in the area. My sister-in-law works at the hospital, and she informed me that recent bird attacks have resulted in a broken wrist and, frighteningly, a broken hip. Was it Bub? Am I next in line? Or is he my personal harrassor? Strangely, there is a satisfaction in keeping him to myself. Since sneaking quietly over the bridge wasn’t working, I’ve taken to hollering at Bub when I see him. He swoops low over me and I wave my arms and shout in response. He always gets the last word though, coming in for the scccraaaw and the hair pull just when I think I’m clear of his circumference of ill will. The dictionary describes feud as a prolonged quarrel; a lasting conflict between families or clans marked by violent attacks undertaken for revenge. Frankly, I think this qualifies. Picture me, tomorrow morning, in running shoes and armored with a bicycle helmet, waving my arms and hollering while Bub closes in. It’s either cause for thought or pure amusement. You pick. Images: Gavin Van Horn, bridge; Kenneth Cole Schneider, Red-winged Blackbird 20110704, Creative Commons 2.0 license; Rodney Campbell, Red Winged Blackbird, Creative Commons 2.0 license; Sam McMillan, Red-winged Blackbird, Creative Commons 2.0 license. Andrea Friederici Ross is the author of Let the Lions Roar! The Evolution of Brookfield Zoo. She is currently working on a novel. More of her thoughts on writing and travel can be found at http://friedericiross.com.